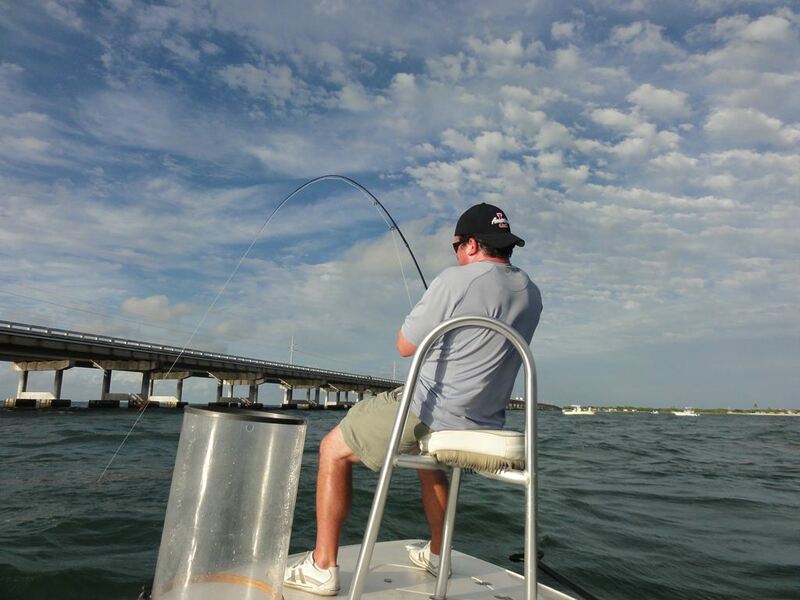 Hooking onto a tarpon in excess of 100 pounds on 30 pound spinning or conventional tackle is the equivalent of making a cast over a bridge and hooking onto a Winnebago doing 50 mph. 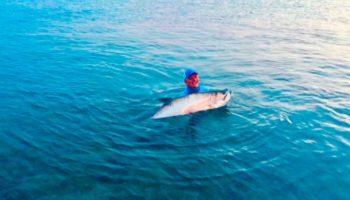 And if you think that is exciting, try fighting this silver, giant looking sardine while he makes 10 foot leaps and explosive crashes just feet away from you. 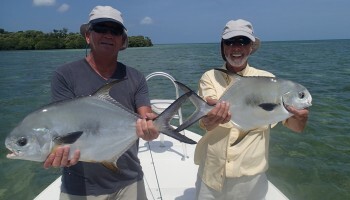 Handling these beasts takes angling skill and stamina to endure the long fights that they pose. 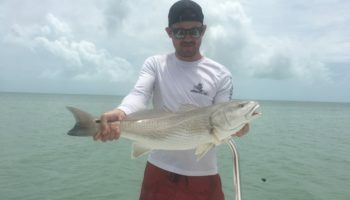 The acrobatics are heart pounding and the thrill of the power they generate is similar to the best sail fishing you can do offshore but from the comfort of the custom built skiff “Flat Out” specifically designed for the shallow calm waters of South Florida from Ocean Reef to Key West, including the Lower Keys. 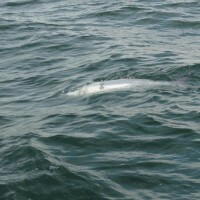 Smaller tarpon are targeted in near shore islands with the same results in acrobatics, but with the use of much lighter tackle. 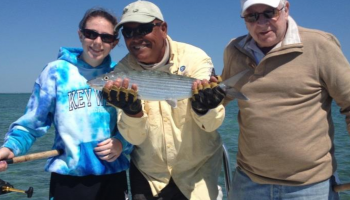 These giant tarpon are also sought after by the more advanced anglers with fly rods, and Captain Diego is able to guide his fly fishermen to all these fish with the patience and will to teach proper approaches and techniques required to do battle with this species! 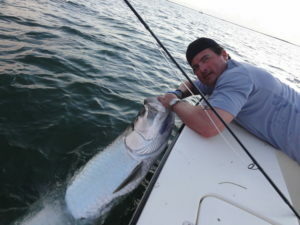 Tarpon have everything the angler could possibly want: huge size, an acrobatic display once hooked that has no comparison, and finally anglers can watch everything unfold right in front of their eyes, in the crystal clear water on the flats of Marathon and the surrounding Florida Keys. 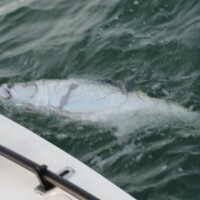 In late March the tarpon start their annual migration from deep within Florida Bay through the waters of Marathon and the surrounding Florida Keys. 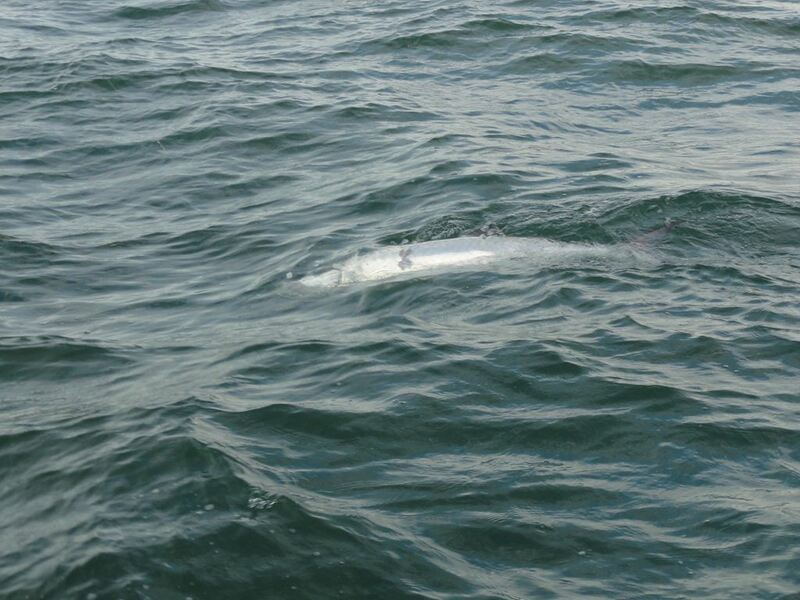 The tarpon move through the shallow water flats to feed on shrimp, crabs and small baitfish as they make their way to the reef to spawn. 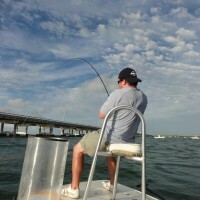 This migration lasts until the end of June. 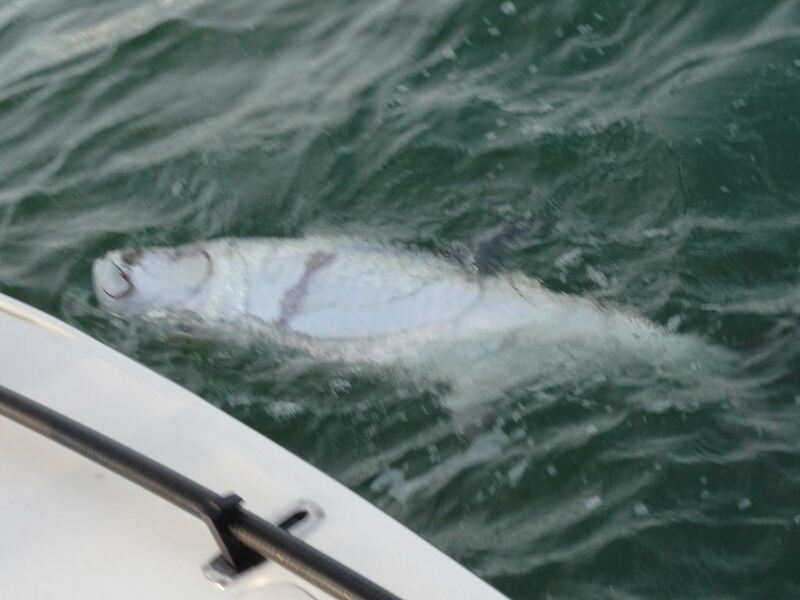 During this time it is not uncommon to see and to cast to hundreds of tarpon moving through the flats of the Florida Keys in a single day.